The National Society for Experiential Education is saddened to hear of the passing of Dr. Ted K. Miller, Professor Emeritus in the Department of Counseling and Human Development Services within the College of Education at The University of Georgia (UGA) in Athens, Georgia. Prior to his retirement, Dr. Miller was Coordinator of the Student Affairs in Higher Education Preparation Program, department head, and member of the Graduate Faculty. From 1989 to 1992 he was Director of the University of Georgia’s Southern Association of Colleges and Schools (SACS) Accreditation Reaffirmation Self-Study, and Chairman of the Steering Committee. Subsequently he was co-chair of the University’s Program Planning Advisory Committee, which focused on the University’s strategic planning initiative. Professor Miller was an important contributor to the field of higher education and student personnel administration. He co-authored seven professional books including The Future of Student Affairs (1976), wrote and edited five editions of The CAS Book of Professional Standards for Higher Education (1986-2003), published widely in professional journals, contributed chapters for numerous edited books, and served on the editorial boards of three national higher education journals. Throughout his career Ted was active in several professional organizations, especially the American College Personnel Association (ACPA) for which he served in numerous leadership positions including Chair of the Tomorrow’s Higher Education Project (T.H.E. 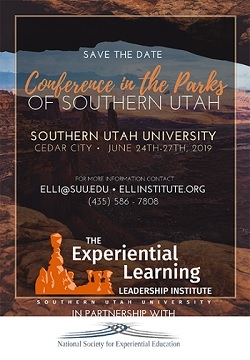 ), a task force designed to promote the role and function of Student Development Theory and Practice within the field of student affairs. In 1979, Miller joined with a team of representatives from eleven national professional associations that established the Council for the Advancement of Standards for Higher Education (CAS), a consortium of national higher education oriented organizations interested in establishing professional standards and guidelines for college and university student support programs and services. He was elected the Founding President of CAS, a position he held from the Council’s inception until 1989. 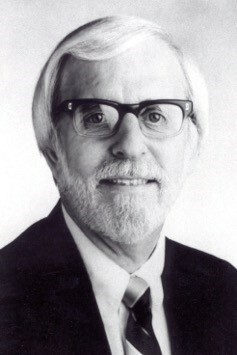 Between 1976 and 2005 Miller was recipient of numerous awards from professional higher education societies, including the SACSA Mel Hardee Award for Outstanding Achievement; the GCPA Professional of the Year (later named in his honor); and the ACPA Professional Service, Annuit Coeptis, President’s Award, Senior Scholar Diplomate, Hall of Honor, Contribution to Knowledge, and Lifetime Achievement Award. In 2005 he was recipient of ACPA’s most prestigious recognition, the ACPA Lifetime Achievement Award. In addition, SACSA honored Dr. Miller by designating the Ted K. Miller Award for Excellence that is given annually to a professional for outstanding accomplishments in advancing standards of practice in educational programs and services in higher education. The higher education community has lost an important member and the Society is grateful to Dr. Ted Miller and his numerous contributions toward a better understanding of the total student experience.